The frontiers of Cryospheric research are in outer space. The presence of ice on other planets or space may yield new, fundamental insights into the development of the solar system and may also yield invaluable clues about the past and future of the Earth’s climate. 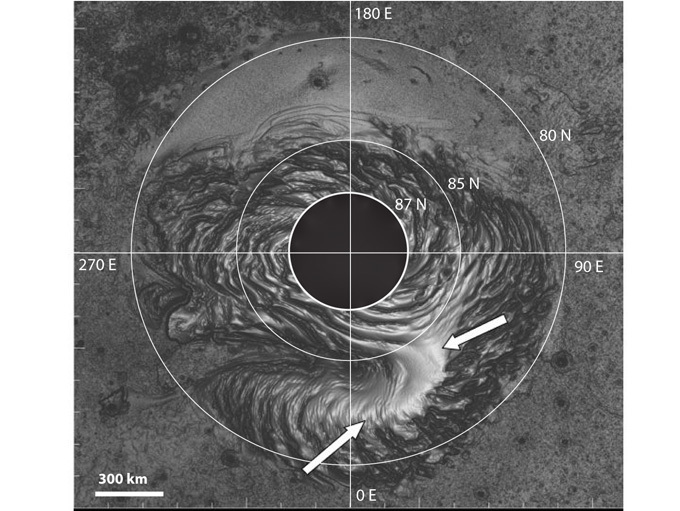 PSC is involved in planetary cryospheric research studying the ice caps of Mars and the frozen oceans of Jupiter’s moon Europa. Koutnik, M.R., E.D. Waddington, and D.P. 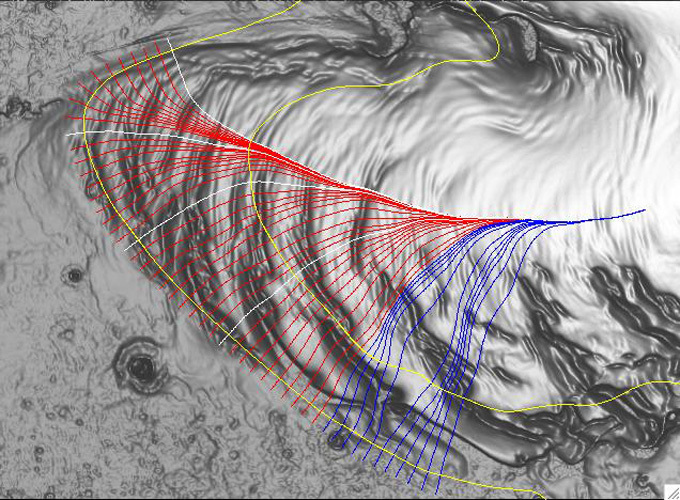 Winebrenner,’ A method to infer past surface mass balance and topography from internal layers in martian polar layered deposits’, Icarus, 204, 458-470, 2009.